Crispy fried Mang Mao (flying termites, winged termites) with Bai Kee Hoot Leaves ( kaffir lime leaves) for afternoon snack in Vientiane, Laos. A relatives collected these winged termites the night before and gave a bag full to my aunt to do something with them. Mang Mao means drunken insects. It might have something to do with their attraction to light like moth to fire. When they swarm toward the light, it’s like they are drunk and flying in chaotic motion. 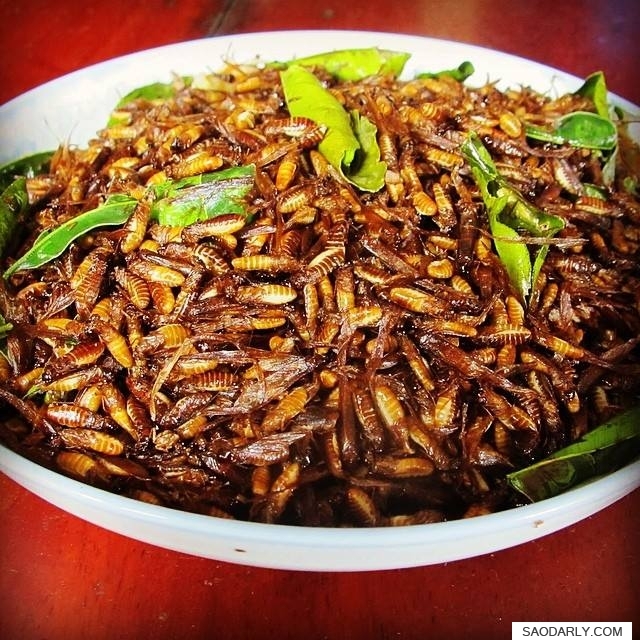 A lot of folks in Laos and Thailand would make snack out of these flying termites. When you can’t beat them, just eat them?